Halloween is definitely one of my favourite holidays. When I was little I thought it would be the best birthday to have – not only did you get birthday presents, but bonus Halloween candy too! I’m a big fan of bonuses - which is why I love my American Express AIR MILES Card. I’ve been an avid collector of AIR MILES reward miles since before I was even approved for a credit card. 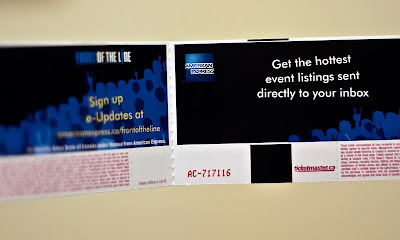 I was so excited to get my hands on an Amex AIR MILES Card – AIR MILES reward miles AND Amex Front Of The Line? What an awesome combo! Just this summer alone I got exclusive access to the Jay Z and Justin Timberlake, NKOTB and Backstreet Boys concerts in Toronto – and let’s not forget Sesame Street Live this coming holiday season, which I’m more excited to see than all the aforementioned live events. I was able to purchase tickets to all these events before they went on sale to the public, and breathe easy that I’d be attending when everyone else was hitting “refresh” on their Internet browser. I love racking up AIR MILES reward miles – and my Amex Card is easily the fastest way. I earn reward miles twice by using my Amex AIR MILES Card and my AIR MILES Collector Card at participating Sponsors. Some rewards I’ve redeemed for include magazine subscriptions and tickets to the Metro Toronto Zoo. My Mom has collected so many AIR MILES reward miles that she has redeemed for a digital camera and flights across Canada. 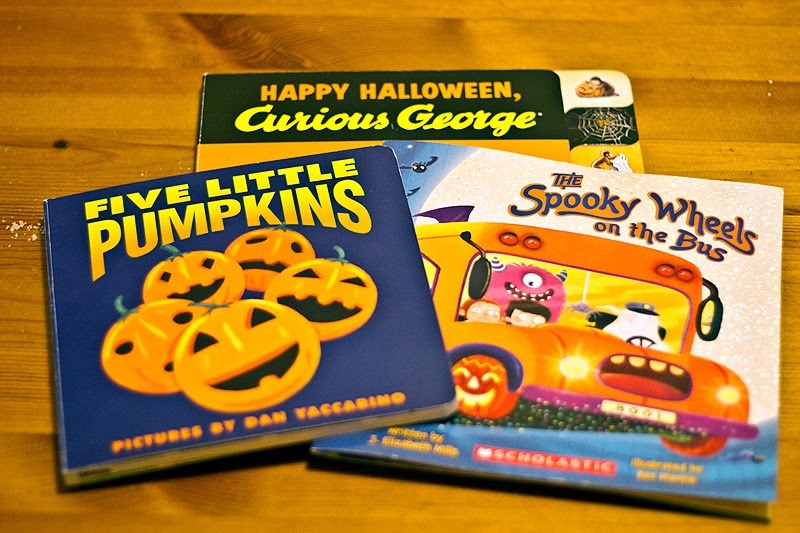 1) My daughter loves season-themed books and DVDs – and Halloween is no different. Get in the spirit (hee hee) by buying festive tales and terrifying movies online through airmileshops.ca at Indigo and Amazon and receive special offers and AIR MILES reward miles. 2) Of course, the most exciting thing about Halloween is dressing up! My daughter is being a Cheetah this year, Chris is being a box of Nerds Candy and I’m going as Elmo (see aforementioned excitement about Sesame Street Live). If you have yet to purchase your child’s Halloween costume you can find great ones at Old Navy. 3) And running a close second to dressing up is collecting the treats! Make sure to purchase yours using your Amex AIR MILES Card at a grocery store or pharmacy in your province that is a participating Sponsor – Metro, Sobeys and Rexall, for example. 4) Hosting a Spooktackular Halloween party? Setting your lawn up like a Haunted House? Making your own costume? Make sure to visit Michael’s to help your creativity howl. 5) Some folks like to exchange some of their kids’ candy loot for toys. If you are one of these parents, make sure you use your Amex AIR MILES Card online at the Lego Store or Mastermind Toys and in person at Babies R Us and Toys R Us. And it’s not candy, but this treat is just as sweet! Enroll and spend $50 or more on your American Express AIR MILES Card from October 24 – 31, 2013 and you can earn 100 Bonus AIR MILES reward miles! Learn more here. 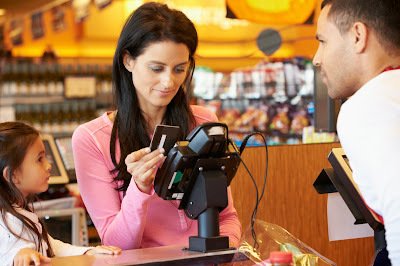 Collecting AIR MILES reward miles twice by using your Amex card during Halloween is almost better than collecting candy – and reward miles have a five-year expiry date, unlike those teeny tiny chocolate bars. How do you collect AIR MILES reward miles? Disclosure: This post was generously sponsored by American Express AIR MILES, but the opinions and images are my own. I'm an AIR MILES collector and I do some major damage each week at Michaels. So bad LOL. I need to move further away from the store! I didn't know you could collect AIR MILES at Mastermind. Thanks for the heads up. One more place to visit and maximize my rewards as I start my holiday shopping this week!!! We just booked flights to NYC for our family using AIR MILES. I try and collect them everywhere like Julia above. We also get them for our car and house insurance which helps.